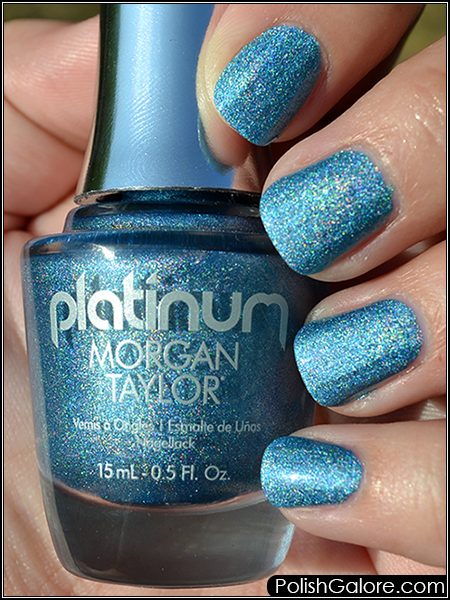 I'm at Cosmoprof North America right now but before I left I got a package that contained the rest of the Platinum series from Morgan Taylor and since I was home during the day with sunlight, I figured I'd definitely test these out! 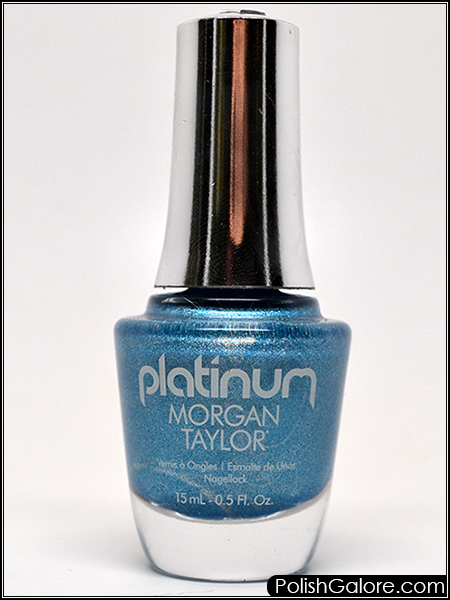 First up is Diamonds In The Sky which is an icy blue holo. I used a base coat of Morgan Taylor reactMAX Optical Brightener, two coats of polish and finished up with Glisten & Glow top coat. The formula was really easy to work with and I'm so obsessed with the new rounded brush tip. Here is the polish in my light box - nicely muted holo but still just a beautiful formula. I just recently moved my light box back into my living room so I feel like the white walls in my house help reflect colors better. I stepped outside for some beautiful sunlight and hello soft scattered holo! You can get a slight flame holo when you move your hands in the light (check my IG Story! ).